But I am deeply saddened to report that the great Henry Gibson has died. 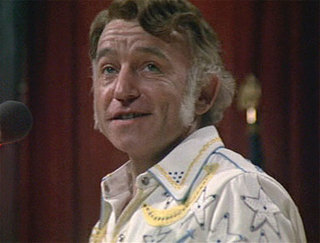 "Laugh-In" ("A Poem... by Henry Gibson"), "The Long Goodbye," "Nashville," "Mullet" (a short), "Magnolia"... he has always been an inspiration to me. I am in Boulder with my friend Julia Sweeney for a CWA-related athenaeum, talking to students about comedy, critical thinking, death... and any and all other subjects, depending on where the conversations lead. I'll be back this weekend and plan to write more about Henry Gibson then. R.I.P.